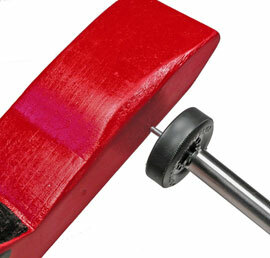 A great tool for removing Pinewood Derby axles. It's as easy as ABC!. 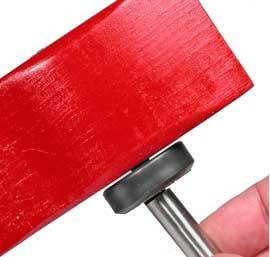 This tool will easily remove the axles from your car without damaging the wheel or axle. 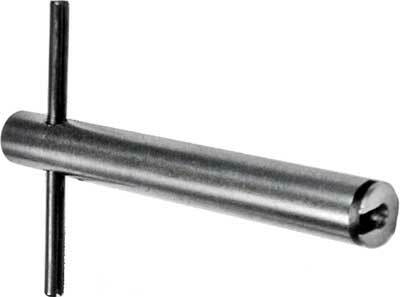 The slot at the end of the axle puller is designed to securly grip the axle. To use, simply slide the tool on the axle head. Then slowly pull the axle off of the car using a slight twisting motion. Use our Axle Installer to re-insert the axles back into your car.